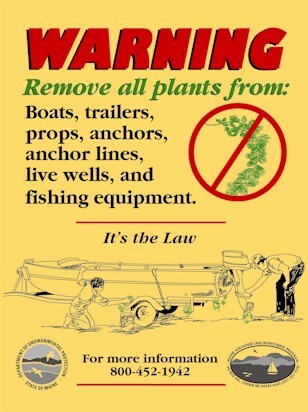 For Invasive Plant Patrol forms visit our IAS Documentation Forms page. 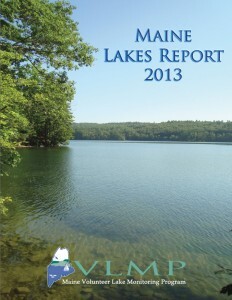 The Maine Lakes Report summarizes the invasive aquatic plant screening surveys conducted during the year, as well as including information about the Lake Stewards of Maine (LSM), water quality indicators, and certified monitors. 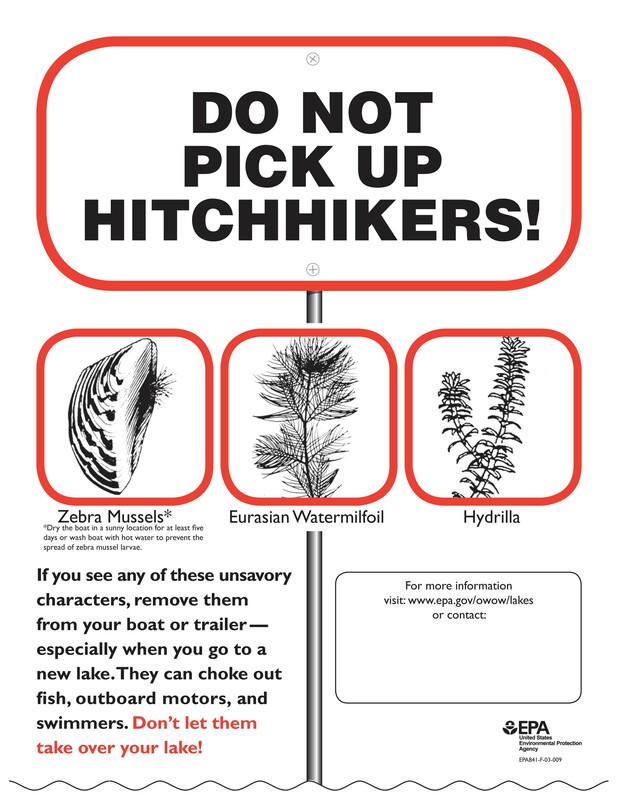 The Invasive Plant Patroller’s Handbook Online is filled with useful resources for Plant Patrollers, including updated forms and information. Quick Keys are now in stock and available for purchase! 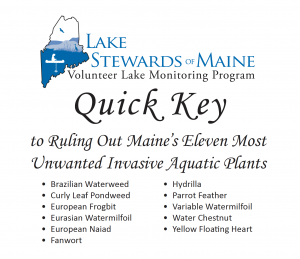 The Quick Key is a convenient pocket sized guide to ruling out Maine’s eleven most unwanted invasive aquatic plants. Each quick key costs $1.50, and there is a 10 % bulk discount for orders with quantities of 100 or more. To order a guide, please contact stewards@lakestewardsme.org. 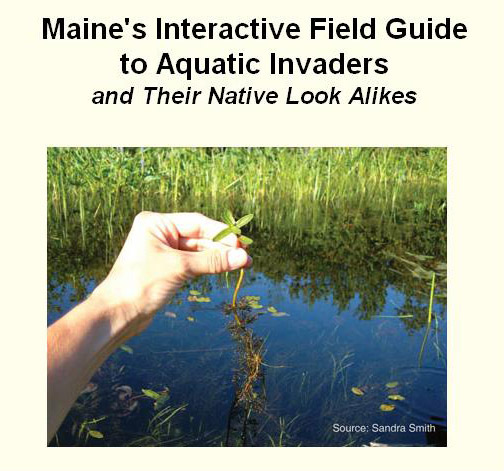 Identify plants using the online interactive Field Guide to Maine’s Aquatic Invaders. 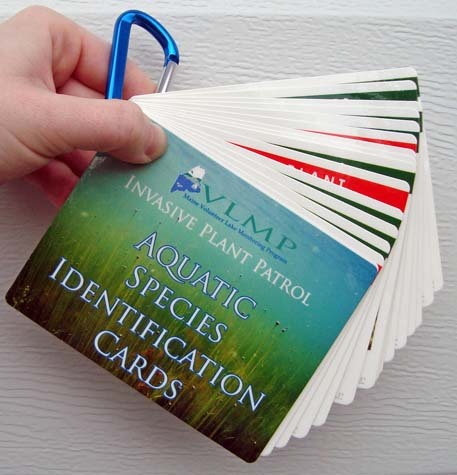 Aquatic Species Identification Cards (a set of sixteen 3.5″ x 4.5″ full color, waterproof plastic plant ID cards) are now available from the LSM at $12.00 per set. To order, please contact christine@lakestewardsme.org. The cards feature photos and concise descriptions for the five invasive aquatic plant species known to be in Maine as well as twenty-four of Maine’s more common native aquatic plants. Cards are color coded (red for invasive, green for native) to help you tell the good plants from the bad. The set is bound by a binder ring and hung on a carabiner, so you can hook them to your belt-loop or swimsuit strap and go! The set can also be easily expanded as new cards become available. Please note: This set currently only includes five of the eleven plants on Maine’s prohibited list. 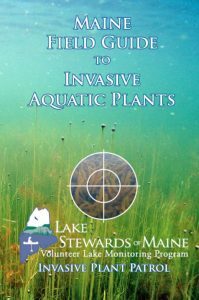 The Field Guide focuses on the eleven invasive aquatic plants currently listed by Maine law as imminent threats to Maine waters. 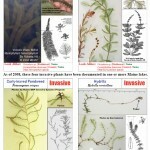 Also featured are many native aquatic plants commonly confused with these eleven invasive species. Photographs, illustrations and narrative descriptions are presented for each of the featured species, along with a variety of cross-reference tools for easy comparison of similar species. This 160-page reference–spiral bound and printed on tear-resistant waterproof paper–is built to hold up well to conditions in the field (including inclement weather and the occasional dunking). Free Field Guides for LSM Monitors: One complimentary copy per volunteer. Ordering info: Field Guides are available for $35. Please contact christine@lakestewardsme.org or call (207) 783-7733. Please write “Field Guide Order” in the subject line of your email. Additional Shipping & Handling charges will be determined based on quantity ordered. Previous Edition Field Guide Errata: Field Guide Errata. Please help support LSM’s free online resources and publications by making a gift now. Once an infestation has been confirmed, rabid response is crucial. The prospects for effective management or even eradication is greatly increased by swift, well-planned, and properly executed controls. 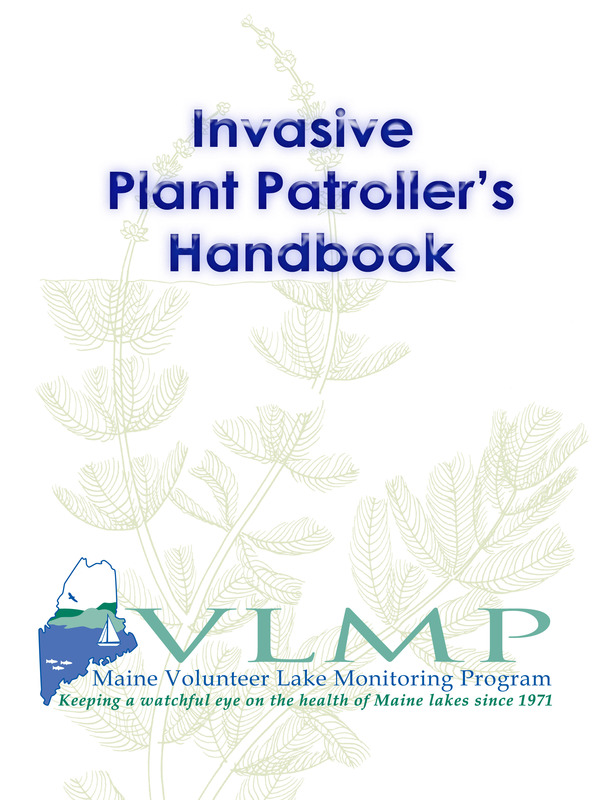 The purpose of the Maine Citizens’ Guide to Invasive Aquatic Plant Management is to provide the information necessary to effectively manage invasive aquatic plant (IAP) populations, to prepare for such an eventuality, and to address all associated activities. 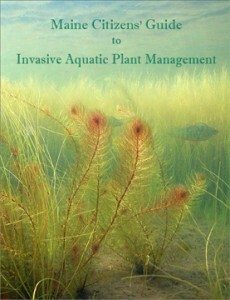 Methods described in this Guide are based upon tested best management practices for controlling aquatic plants effectively and in a manner that protects wildlife and habitat. Preventing the spread of invasive aquatic plants through education and boat inspections is essential to protecting Maine’s water resources. But 100% effectiveness is unlikely no matter how comprehensive the prevention effort. At some point, an invader is bound to slip through the cracks. 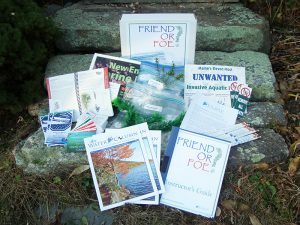 It is very important for people who enjoy Maine’s lakes, ponds and rivers to learn how to recognize a suspicious plant when they see it, and know exactly what steps to take when they do. The LSM is pleased to offer this educational tool that teaches exactly that! If you are interested in purchasing this kit, please contact the LSM at stewards@lakestewardsme.org or 207-783-7733.